I’ve always liked Ramblers. 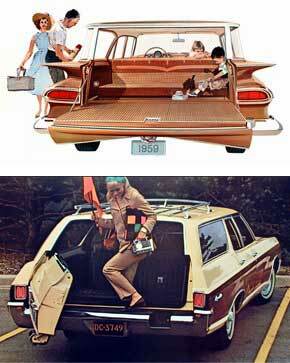 Even when I was a kid and everyone knew only grandmas drove Ramblers I appreciated this somewhat odd segment of American cars. 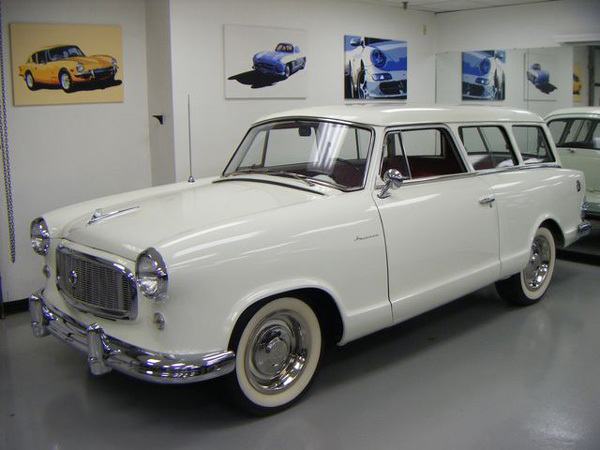 When I found this 1959 Rambler American 2 Door Station Wagon on Ebay, I realized I had never seen an interior of a 1959 American. 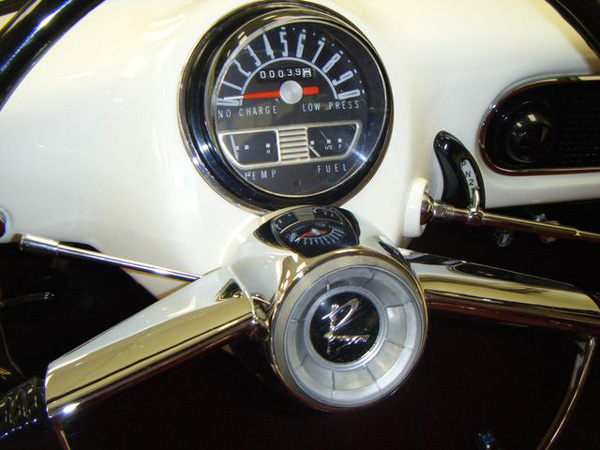 In an age of gadgety space age dash boards, American Motors came up with one of the simplest dashes I have ever seen. 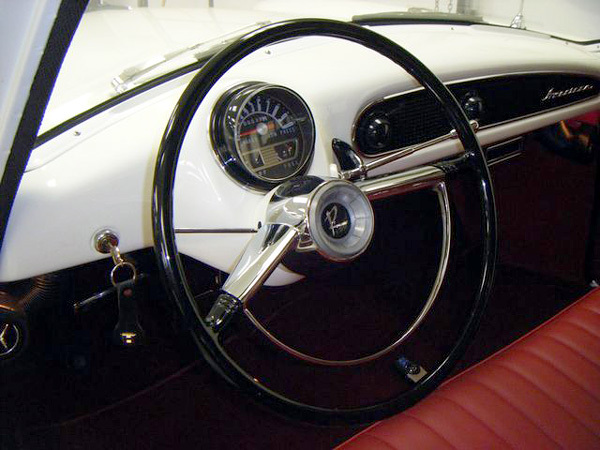 Whereas most cars of the era had several chrome pods protruding from the dash, American Motors kept it simple with a single round pod centered over the steering wheel. That’s all folks! All you need to know is tastefully displayed. The transmission selector design is also nicely executed. Steuarts Garage in Washington D.C. Circa 1920. Clicking the pictures (and then using your browser magnifying icon) will show you full size detail. Lots of great stuff in the parts department. When I look at this photo I can’t help but to think of National Lampoons “Vacation” when the Griswald family arrived at Wally World after a cross country trip only to find an empty parking lot and the entrance closed. This family had better luck than the Griswalds, but I’m sure like most families, their vacation adventure was filled with fighting siblings, car sickness and unforeseen obstacles along the way, but in the end it was all worth it. 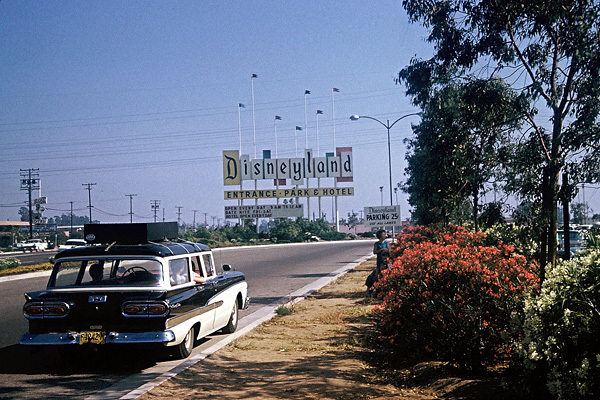 By the time the Country Sedan pulled up to Disneyland all was forgiven. They had reached their destination and Pops only had to pay a quarter for parking. You talked to Bob and he offered you a great deal on that new Edsel you’ve been eyeing but you’re just not sold on the looks of the new Ford. “Nice car, but that grill looks likes a toilet seat” you thought. Bob let you walk, but being the top car salesman that he is, he’ll be giving you a followup call. 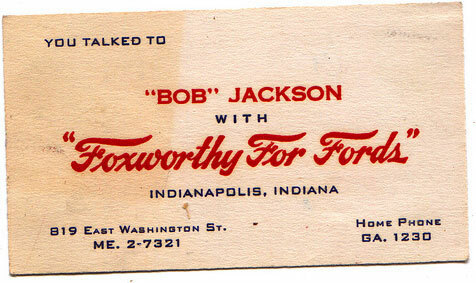 Bob’s ready to offer you the deal of the century for that Edsel. The Edsel is yours. 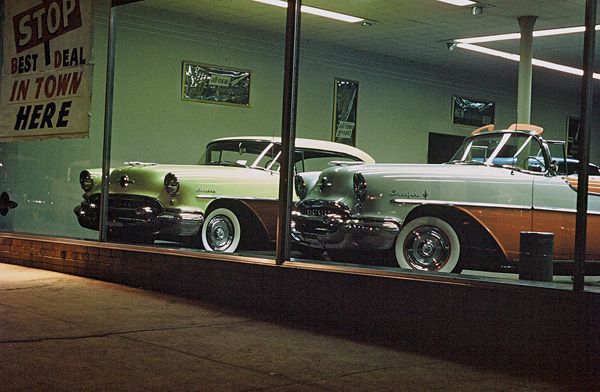 It’s late in 1954 and the 1955 Oldsmobiles have recently arrived at this New York city showroom. 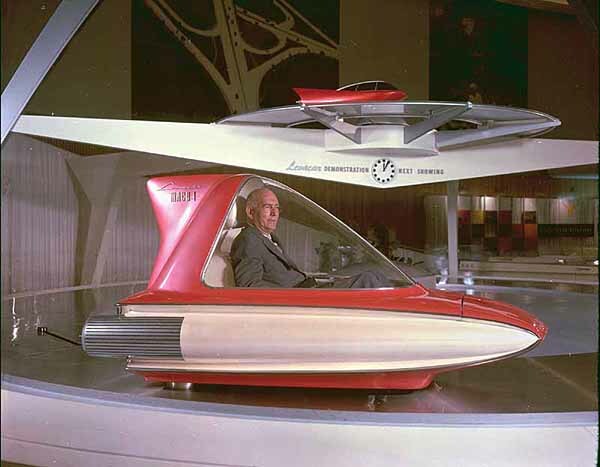 The all new Oldsmobiles must have looked pretty impressive to passer-byes that evening. Pictured are a Coral and Polar White Starfire convertible and a Caspian Cream and Bronze Metallic Holiday 88. In 1955 Dodge introduced the La Femme, the first and only American car marketed exclusively for women. “Never a car more distinctively feminine than La Femme….first fine car created exclusively for women!” exclaimed the brochure. 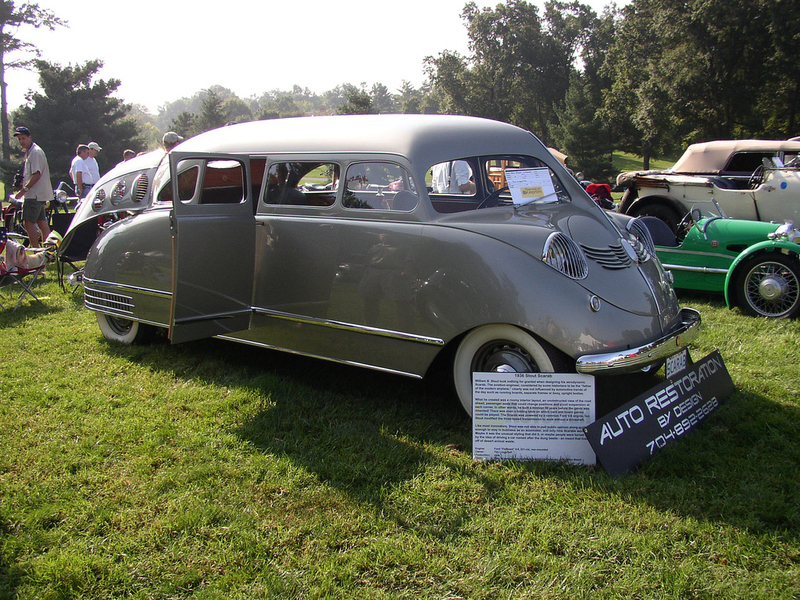 Though short lived, the 1955 -56 La Femme had a unique chapter in automotive history. 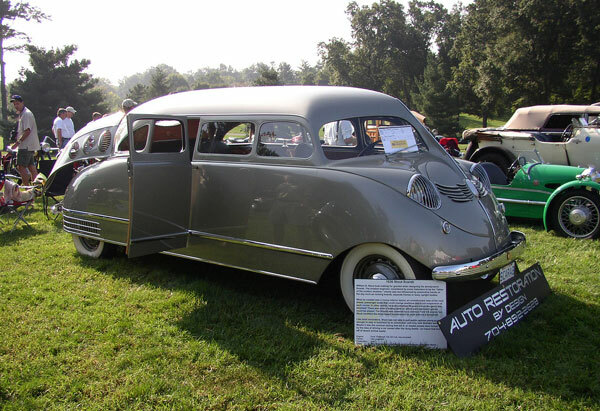 Show cars in the 1950’s with a feminine appeal were actually somewhat common with GM leading the charge. The Cadillac Eldorado Seville Baroness, Pontiac Pink Parisienne and the Chevrlet Impala Martinique were some of the cars making the show circuit. 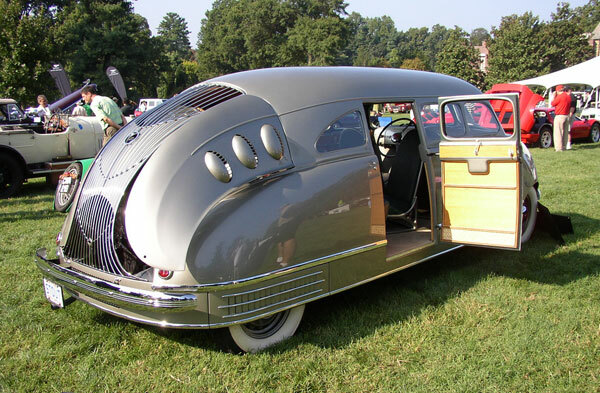 In 1954 Chrysler joined the show car trend by introducing his and her cars- La Comtesse and Le Comte. 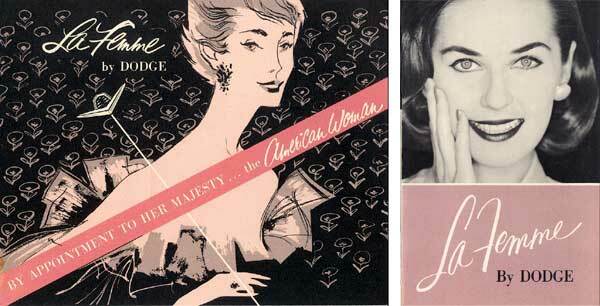 The La Comtesse sported a plastic top and a two-tone exterior of Dusty Rose and Pigeon Gray. The luxurious interior was finished in cream and dusty rose leather. The Le Comte naturally sported masculine colors. The La Femme was introduced in the Spring of 1955 as a $143.30 trim and accessory option for the $2,543 two door Custom Royal Lancer. 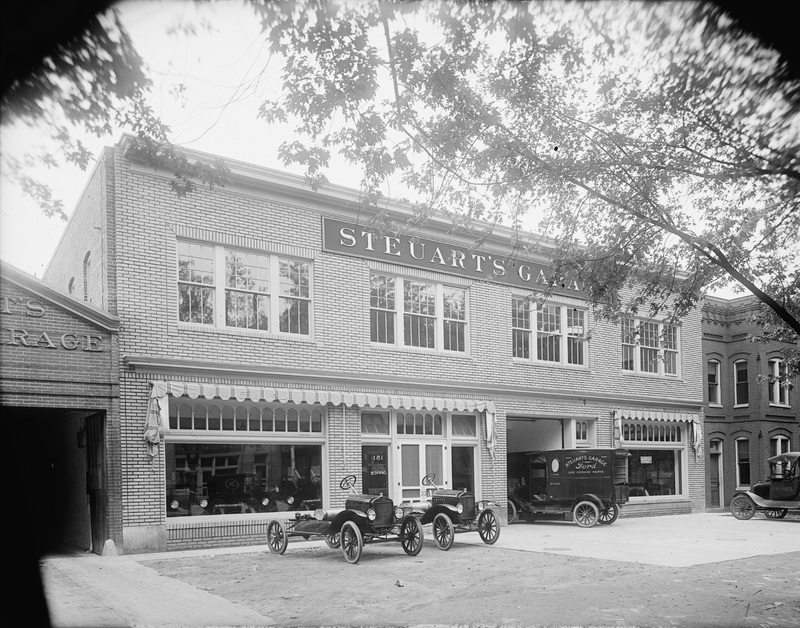 The exterior color scheme was Sapphire White and Heather Rose. 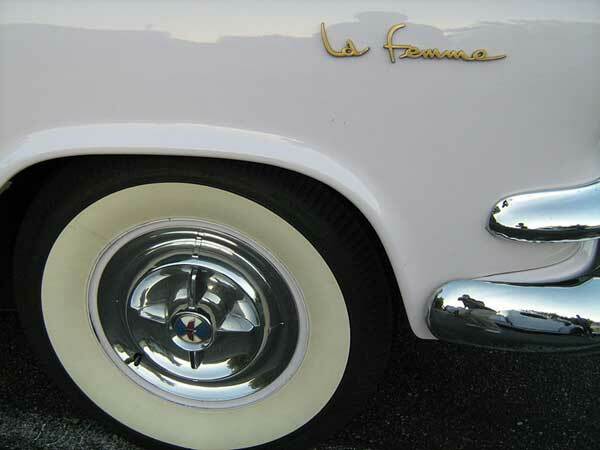 Gold colored “La Femme” scripts replaced the standard “Custom Royal Lancer” scripts on the front fender. 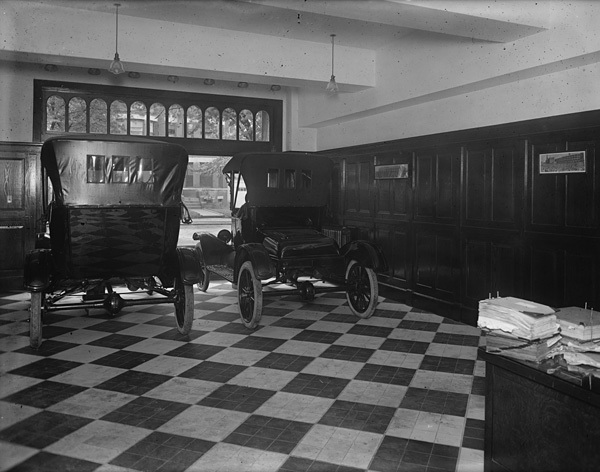 The interior also came with feminine appointments. A “stunning shoulder bag in soft rose leather” resided in a special compartment behind the drivers seat. Inside the shoulder bag, a compact, lighter, lipstick, coin purse, cigarette case and comb could be found. The upholstery came in a pattern of pink rosebuds woven into a pale silvery-pink background. 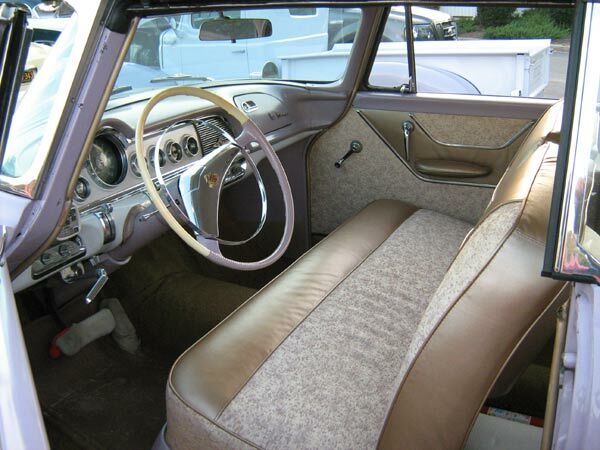 Interior seat trim was pale pink vinyl. In 1956 the purse accessory was dropped and replaced with designer rain gear consisting of a hat, raincoat and umbrella, protecting “Milady” from the elements. 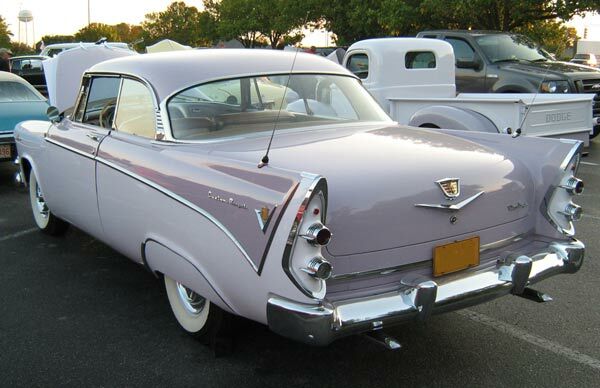 The La Femme was dropped for the 1957 model year, likely a victim of a fairly high price for the option and a lack of promotion by Chrysler. 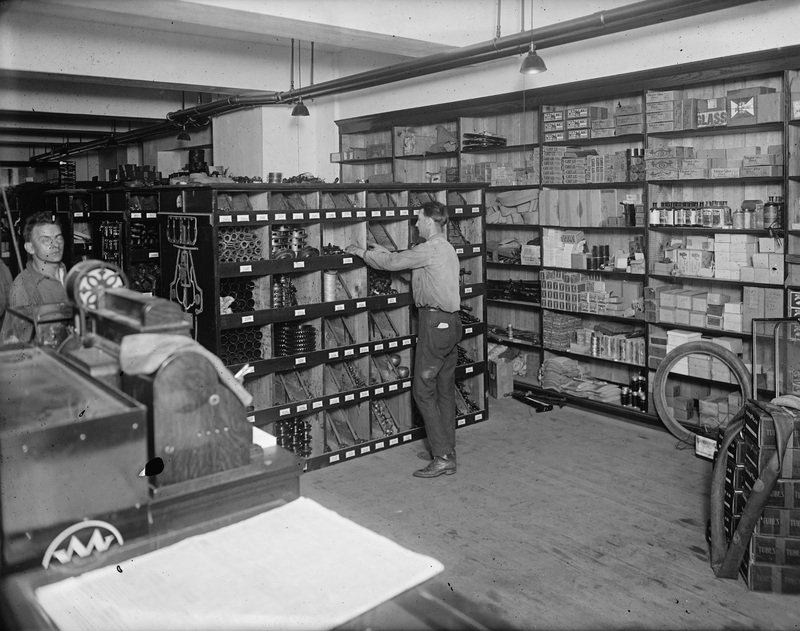 There is no evidence that there was any advertising campaign used to promote the La Femme.